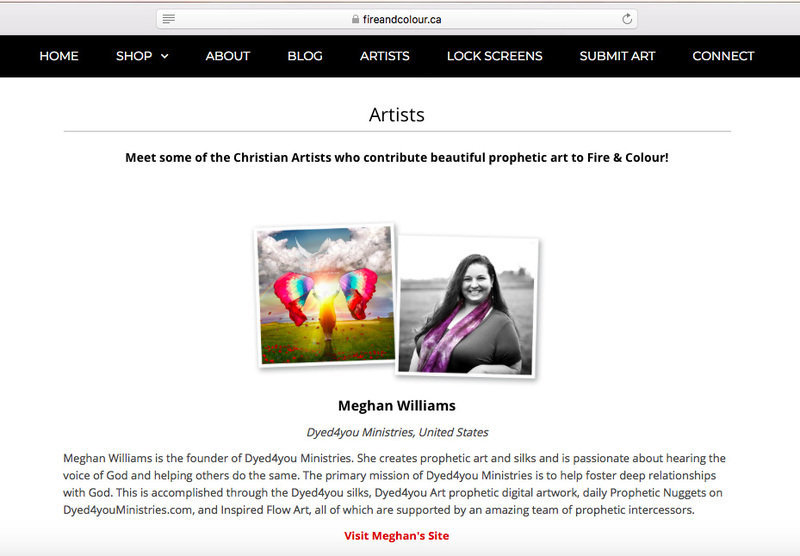 Our friends at Fire and Colour (whose color cards we have displayed in our dyeing area which we show on our color page) have changed up the focus on their site to include features about other prophetic artists. 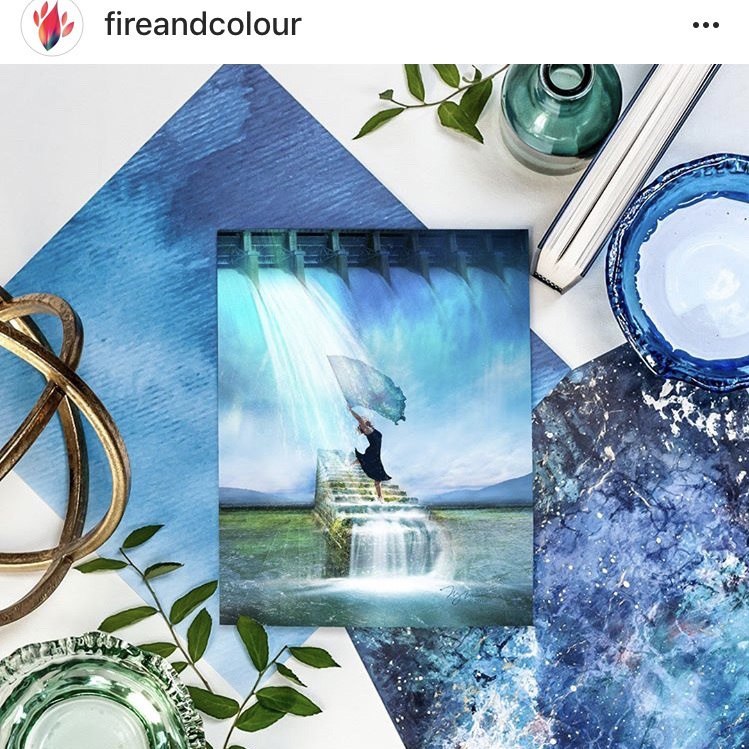 And we have the honor of being the first! She has us set up with an artist bio (left) and then featured our Floodgates of Heaven piece on it’s own page (overview shown below or visit it). 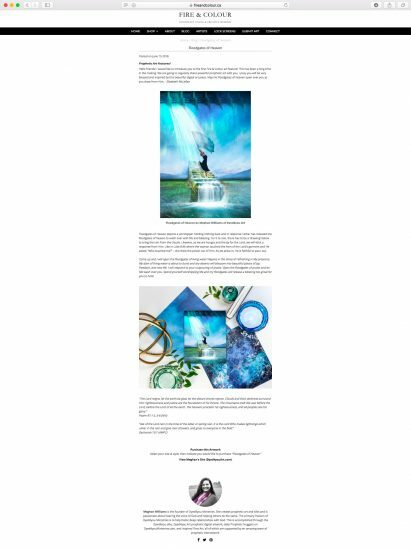 It briefly shares the scriptures and word along with links back to us and to be able to order. 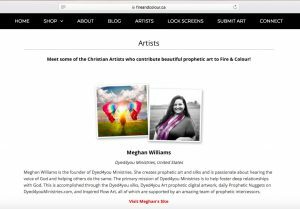 If you love prophetic art, consider subscribing to her site so you can see all the other artists she shares. I know I’m looking forward to finding some new ones!